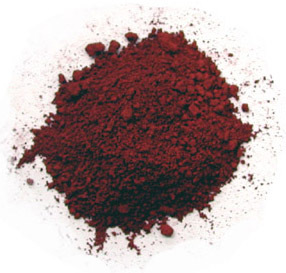 Red Mud is produced during the Bayer process for alumina production. It is the insoluble product after bauxite digestion with sodium hydroxide at elevated temperature and pressure. It is a mixture of compounds originally present in the parent mineral, bauxite, and of compounds formed or introduced during the Bayer cycle. It is disposed as a slurry having a solid concentration in the range of 10-30%, pH in the range of 13 and high ionic strength. These organic compounds, giving RM a distinctive odour, are derived largely from decomposed vegetation and roots. Under the alkaline oxidative conditions existing in the Bayer process, they break down to more simple compounds such as the sodium salts of succinic, acetic and oxalic acids. Predominant among these salts is sodium oxalate. RM is a very fine material in terms of particle size distribution. Typical values would account for 90 volume % below 75µm. The specific surface (BET) of RM is around 10m2/g.